(Note: The article in this post was originally published in the Jackson Hole News and Guide on August 19, 2015). The comments and questions are starting to come more often now, about the current El Nino and how it will affect our winter. I blame the bigger media outlets for creating this hype, by attaching monikers to their headlines like: “Super El Nino”, “Strongest El Nino Ever”, and my personal favorite, “The Great Godzilla of an El Nino”. It makes me want to throw-up when I read these headlines, especially since nothing extraordinary is actually happening yet. To help squelch some of the hype, by way of plain-old scientific explanation, in this week’s column I am going to tell you what El Nino is, what the current and forecasted state of the El Nino is, and what affects this El Nino might have on weather patterns this winter. In particular, what it might mean for snowfall in Jackson Hole. El Nino is not a monster storm, nor is it a series of monster storms that guarantee copious amounts of snow. I will guarantee you though, that every single major weather event that happens between now and next spring will be blamed on El Nino. El Nino is part of a larger phenomenon that has to do with the Sea Surface Temperature (SST) in the equatorial Pacific, collectively known as “ENSO”, or the El Nino Southern Oscillation. ENSO comes in three different flavors: 1) El Nino, when SSTs are warmer than average. 2) La Nina, when SSTs are cooler than average. 3) Neutral (No-Nino), when SSTs are near average. The strength of an ENSO event is measured by how much warmer or cooler those SST’s are getting, and how far across the Equatorial Pacific they are spreading. This in turn creates differences in pressure across the Equatorial Pacific. Sometimes, in the case of an El Nino, a complete reversal of the normal wind flow pattern may occur. Ocean temperatures down near the equator are relatively warm to start with, but during an El Nino they may get 1 or 2 degrees warmer. This creates more thunderstorm activity over the ocean, and the effects of that extend up into the upper atmospheric circulation, as well. And voila, we have a disruption of the “normal” atmospheric circulation, which translates to a change in the weather patterns both north and south of the Equator. I don’t know if you remember back to May of 2014, but NOAA scientists then were predicting that a “Super El Nino” would develop for the fall and winter of 2014-15. That never materialized. El Nino conditions (warmer SSTs) never showed up until March of 2015, too late to disrupt winter weather patterns in the northern Pacific. May-June-July 2015 average SSTs warmed up to 1-degree (Celsius) above the average in some portions of the ocean. Winds were not reversing yet, but they were slowing down, and more convection was noted; that is, more thunderstorms were showing up on the satellite photos. The strongest El Nino winters on record were 1997-98, which peaked at 2.3 –degrees above normal, and 1982-83, which peaked at 2.1 degrees above normal, for their three month average SSTs in November-December-January. If this does develop into an El Nino of those proportions, then what should we expect to happen? Usually during El Nino winters the jet stream, or storm track, tends to dip further south in the Northern Pacific, moving over California and the Southwestern United States, then cruising across the Southeastern U.S., keeping those locations wetter than normal in winter. In both 1997-98 and 1982-83 the Sierra Nevada Mountains in California had huge winter snowfalls, both were attributed to the strong El Nino. The Pacific Northwest and northern Rockies are a bit too far north of the storm track during strong El Nino’s to reap the same benefits. The opposite though is true during strong La Nina winters, when the storm track usually does favor the Pacific Northwest and Jackson Hole, and leaves California and the Southwest dry. In Jackson, during the strongest El Nino Winter of 1997-98 we had average snowfall in town and just above average snowfall in the mountains. In the El Nino Winter of 1982-83, we had below average snowfall, both in town and in the mountains. When I take into account all the El Nino years, weak & strong, it’s a 50/50 proposition for Jackson Hole. Half the El Ninos ended up with above normal snowfall around here, half had below normal snowfall. Given all that info, I wouldn’t get too hyped-up about this “Giangundous El Nino 2015” just yet for Jackson Hole, it might make for a bigger snowfall winter here or it might not. Unless you live in Tahoe, then it’s going to be HUGE, for sure, dude! 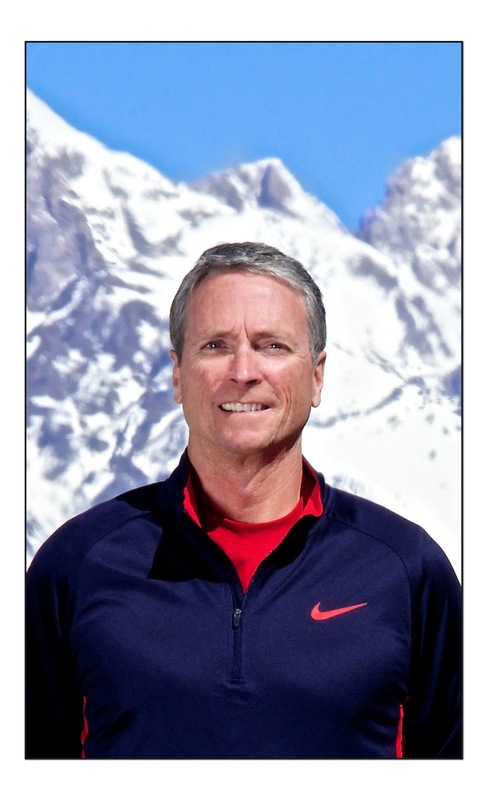 Jim is the chief meteorologist at mountainweather.com and has been forecasting the weather in Jackson Hole and the Teton Range for almost 25 years.